Is that a sweet curry on them? Snoek dry & boney Wat djy waar kry? As jy soos jou gat braai, sal die vis soos jou gat proe. Snoek needs time and love, then it's everything but dry. Apricot jam, some garlic, a dash of lemon juice, constantly on the snoek, opened up and left to cook from one side only - mate, it's juicy and tender. As a PS: I braaied fantastic hake as well a while back. Toeklaprooster smelled like fish for 3 months but that's fine. With white fish like that, golden rule is quick and simple. Just used some butter, black pepper, salt and when it was done, freshly cut parsley stuck inside to wilt in the steamy heat inside the fish. Fell apart. "Is Pappa braaing today?" She enquired, knowing full well that cremations of the deceased beasts is the order of the weekend, the traditions and manner in which we appease our Gods! Average quality pics of a high quality prime rib on the bone. Reverse sear method because it was close to a kg. Hey! You okes out there in the real world, Howz the office coffe tasting right now? Tonight it's lamb sosaties and wors. And a lekker few whiskeys. 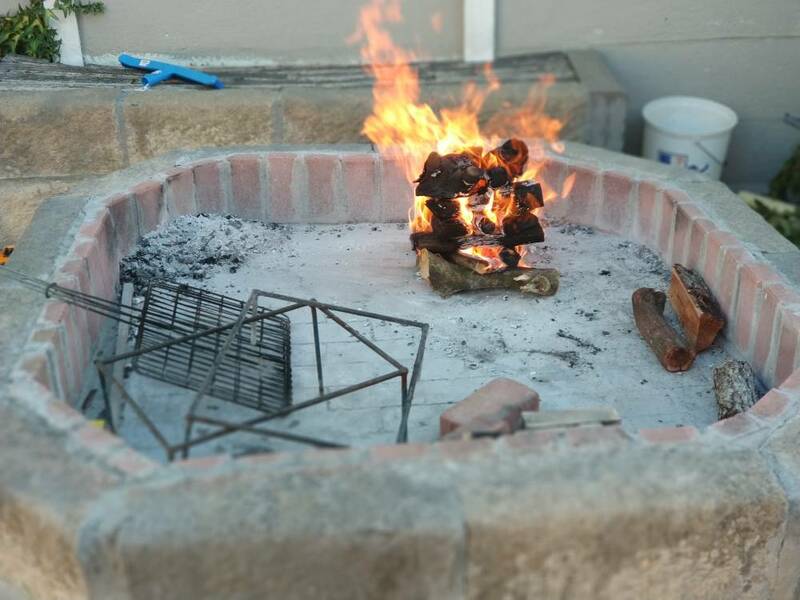 When we built the house I designed the Braai, my wife designed the rest. Jissus all these braai posts at home. Would give my left nut to be able to braai at home during the week. But an indoor braai in winter is still something i wish for to have and own before i die one day, maybe MyBB will partner up with a supplier selling indoor braais and give 1 away as a prize? Would you mind, when you have time, to take the measurements of your braai please? I want to build one next week and that looks like a nice size.